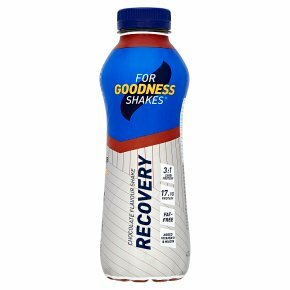 Recovery is a low fat UHT milk-based shake enriched with vitamins. Chocolate flavour. Shake well before opening. Drink a bottle within 20 minutes after exercise. Bring on tomorrow.